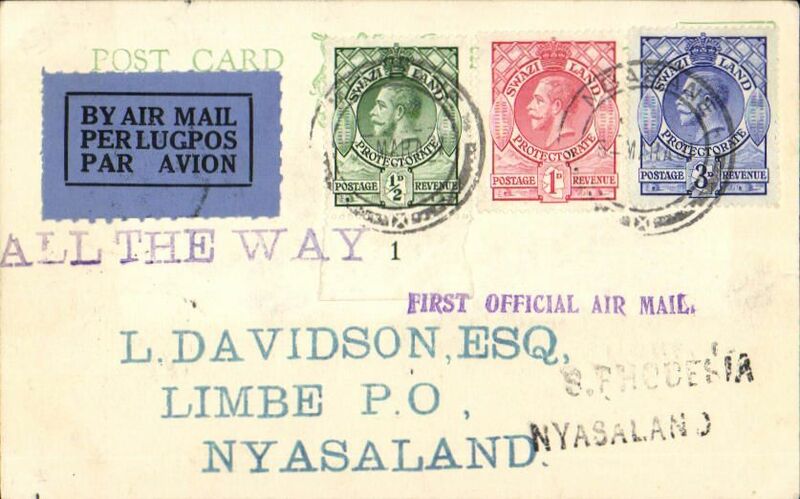 First Swaziland acceptance for Limbe, bs 9 Mar 34 4.30pm, via Blantyre 9 Mar 34 3.00pm, carried by Imperial Airways to Salisbury then in Rhodesia and Nyasaland Airways inaugural flight to Blantyre and Limbe, Davidson PC franked 4 1/2d, canc Mbabane, Swaziland 5 Mar 34, violet straight line "First Official Air Mail", black two line "S Rhodesia/ Nyasaland" and "All The Way" hand stamps. A scarce acceptance in pristine condition. 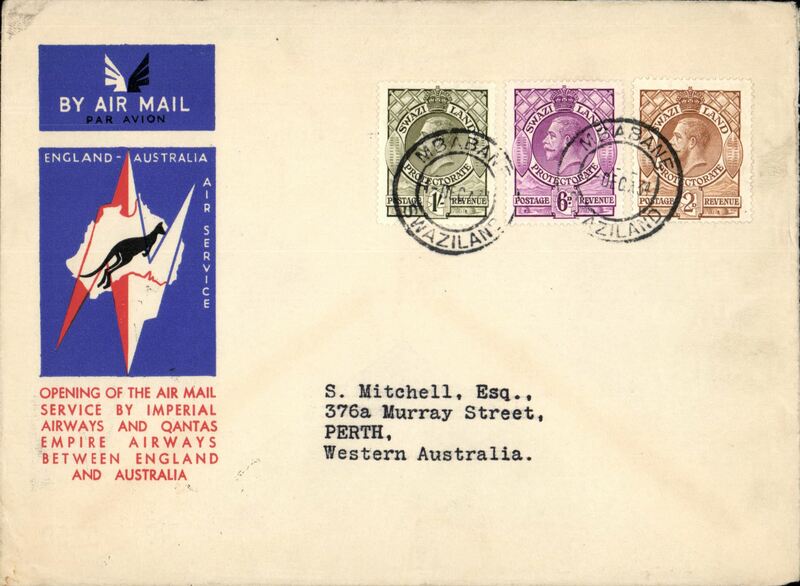 Mbabane to Australia, bs Perth 21/12, first acceptance of African 'all the way' airmail for Australia for carriage on the Imperial Airways African service to Cairo, to connect with the first extension of the IIA/ITCA/Qantas service from Singapore to Brisbane, official 'Kangaroo' cover franked 1/-, 6d and 2d, canc Mbabane cds. Scarce.